� Picture shown Navy Blue and Gray Color. 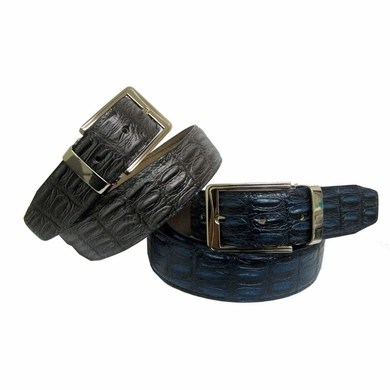 1 3/8" wide belt buckle removable one size fits all, up to size 44 inch. You can cut down to any size you need. � With very nice buckle in Nickel Plated Finish.